TERRE HAUTE, IN. — Basketball legend Oscar Robertson will open the season on Sept. 14. at the Indiana State University Speakers Series. Other speakers are author Hector Tobar; explorer and environmentalist Alexandra Cousteau; Paralympian Bonnie St. John; author, journalist and historian Sarah Vowell and actress Patty Duke. Robertson played for the Cincinnati Royals and Milwaukee Bucks from 1960 – 74. He was a 12-time All-Star and won a NBA championship in 1971. He is a two-time Naismith Memorial Basketball Hall of Fame inductee, having been inducted in 1980 for his individual career, and in 2010 as a member of the 1960 United States men’s Olympic basketball team and was president of National Basketball Players Association. He also was voted one of the 50 Greatest Players in NBA History in 1996. 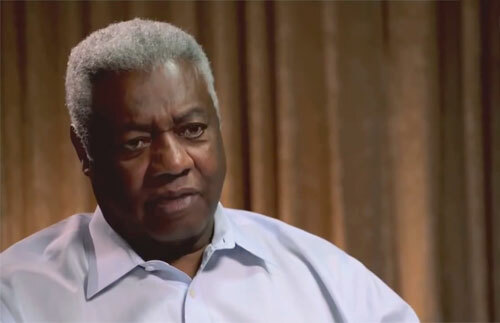 The U.S. Basketball Writers Association renamed their college Player of the Year Award the Oscar Robertson Trophy in his honor in 1998, and he was one of five people chosen to represent the inaugural National Collegiate Basketball HOF class in 2006. He was ranked as the 36th best American athlete of the 20th century by ESPN. Sports Speakers 360 is a booking agent for pro athletes. If you would like to book Oscar Robertson for a speaking engagement, appearance or endorsement, contact Oscar Robertson’s booking agent for fees at 1.855.303.5450.